Every Efty account includes a domain name marketplace, making it easy for your customers to view and purchase your domains. You never have to worry about updating the software, worrying about security holes, or code breaking. We take care of all of it for you. Navigate to Settings > Marketplace. 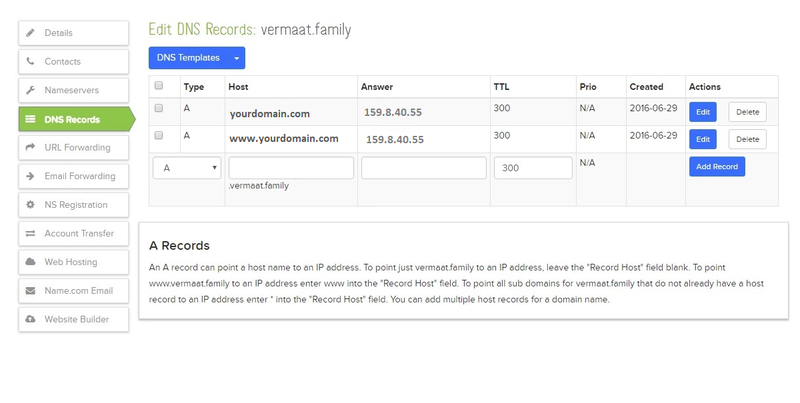 Click the “Set marketplace URL” link. 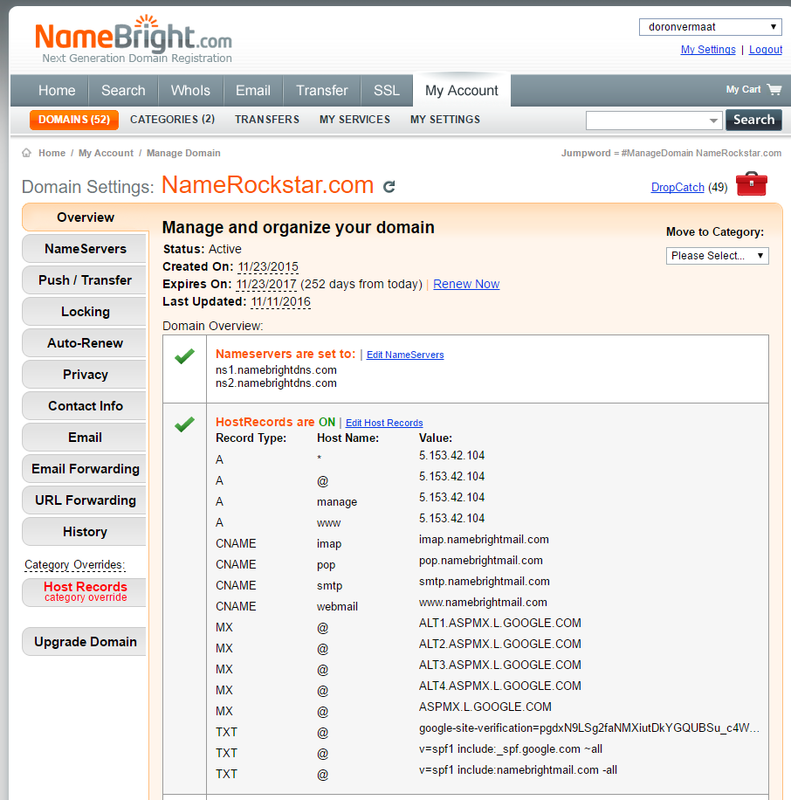 Sign into your registrar and make sure the Nameservers for your domain name are set to the default Nameservers of the registrar. 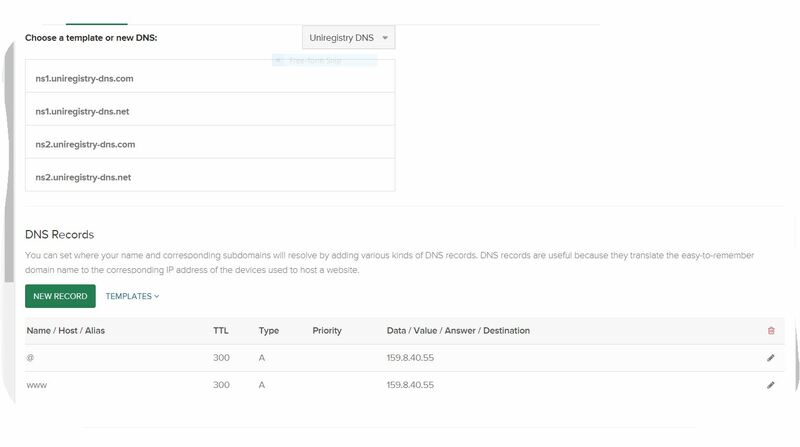 Refer to your registrars help section for help setting-up an A record or scroll to the bottom of this post for a screenshot of the settings at some of the popular registrars. 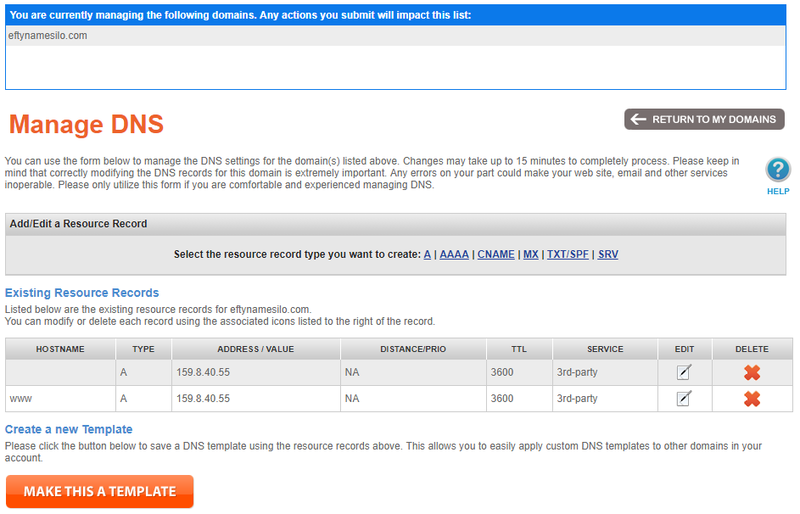 Wait anywhere from 5 minutes to 24 hours for DNS to propagate. 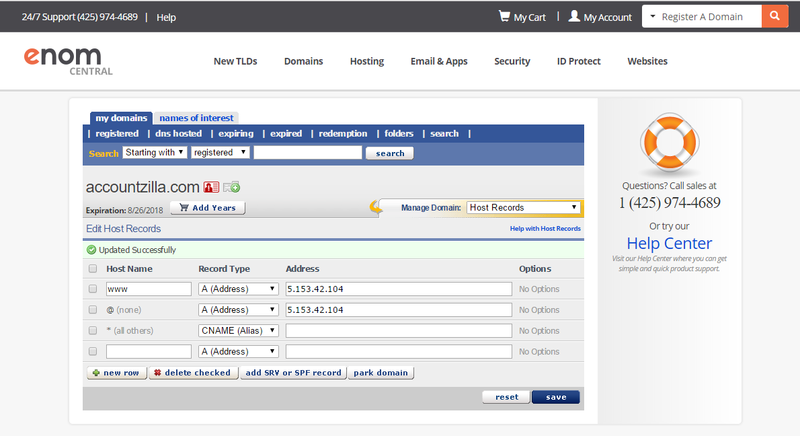 Go back to your browser and type in www.yourdomain.com to see if your site is resolving. Once your site is resolving you can start customizing it by uploading a custom logo and or background, change the theme and colors. Activate an SSL certificate (for users on the Growth or Pro plan) and link your Google Analytics to start tracking visitor stats.